Basketball, football, rugby, soccer, wrestling and many other sports have incidences where there is skin-to-skin contact between athletes. 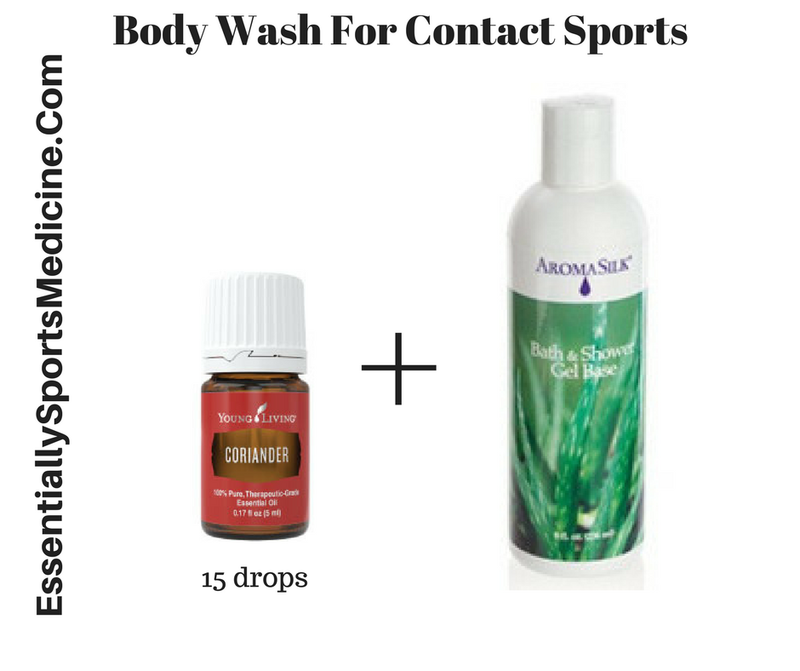 To maintain healthy skin throughout your sports season, it is important to shower or bath immediately after practicing or competing. 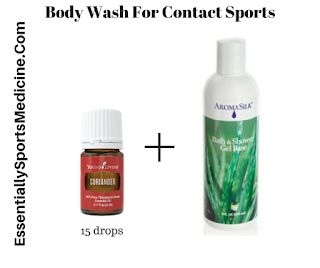 An easy way to do that is to carry a bath and shower gel, towel and an extra change of clothes with you to practices and sporting events. Young Living has a Bath & Shower Gel Base that you can add 5-15 drops of your favorite essential oil(s). I love having the option to add my own essential oils to personalize my own body wash. One of my favorites is Coriander essential oil. Research has shown that it is a great oil to support your skin.